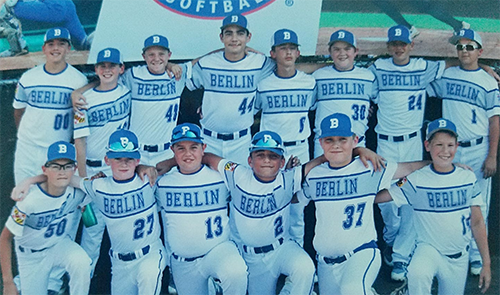 BERLIN- The Berlin Little League 11-12 All-Star team rolled past Washington, D.C., 18-7, on Tuesday to improve to 2-1 in pool play in the mid-Atlantic regional to advance to the semifinals in the tournament. Berlin won the Maryland state championship to advance to the mid-Atlantic regional tournament that began on Sunday in Bristol, Conn. Berlin beat Delaware’s representative Milton, 6-2, in its opener on Sunday in the double-elimination tourney. On Monday, however, Berlin fell to New Jersey’s representative Middletown, 6-2, to drop to 1-1 after two days of tournament play. On Tuesday against Washington, D.C.’s representative Mamie Johnson, Berlin wasted no time building an early lead and cruised to the 18-7 win to improve to 2-1 and assure a spot in the mid-Atlantic region semifinals. 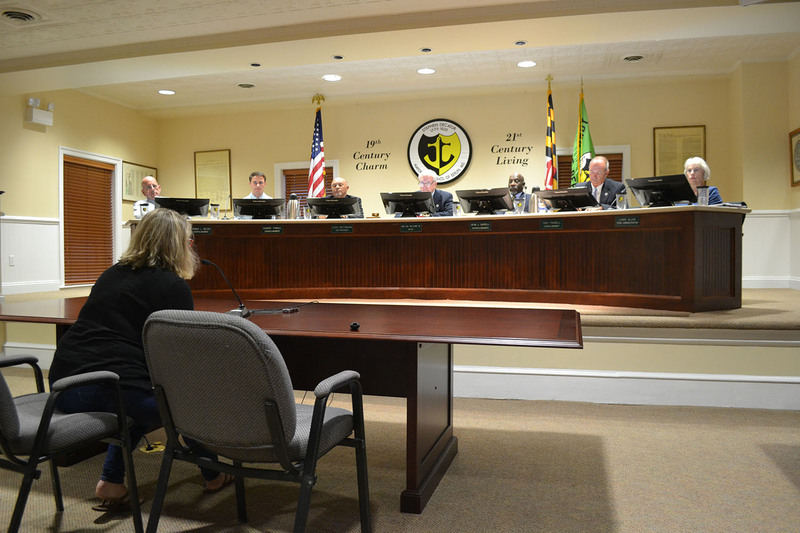 Berlin scored in every inning of Tuesday’s rout, collecting two runs in the first inning, two in the second, four in the third, two more in the fourth, three in the fifth and five in the sixth inning. 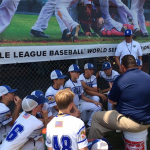 Berlin Little League 11-12 All-Star Coach Cameron McDonough meets with his young team prior to a game in the mid-Atlantic regional tournament this week. In Tuesday’s 18-7 win over Washington, Berlin got production from up and down the lineup. Owen Knerr hit two home runs and drove in five. Stephen Wade went 2-3 at the plate and collected 3 RBIs, Lukas Loring went 4-5 and drove in two and Adam Gardner went 3-5 and drove in two. Foster Smith picked up the win for Berlin on the mound, going four innings while allowing five hits. Gardner pitched two innings in relief and yielded three hits. Through Wednesday, New York is 2-0, New Jersey is 1-0, Berlin is 2-1 and Pennsylvania rounds out the final four in the regional tournament with a 1-1 record. Pennsylvania eliminated Delaware on Tuesday to advance. Berlin played Pennsylvania on Thursday night in a nationally-televised game on ESPN, which was played too late to be included in this edition. Should Berlin have prevailed in Thursday’s game with Pennsylvania, the local team will play again on Friday night on ESPN at 7 p.m. against the winner of the other semifinal between New York and New Jersey. The mid-Atlantic regional championship game is set for Saturday night on ESPN at 7 p.m.